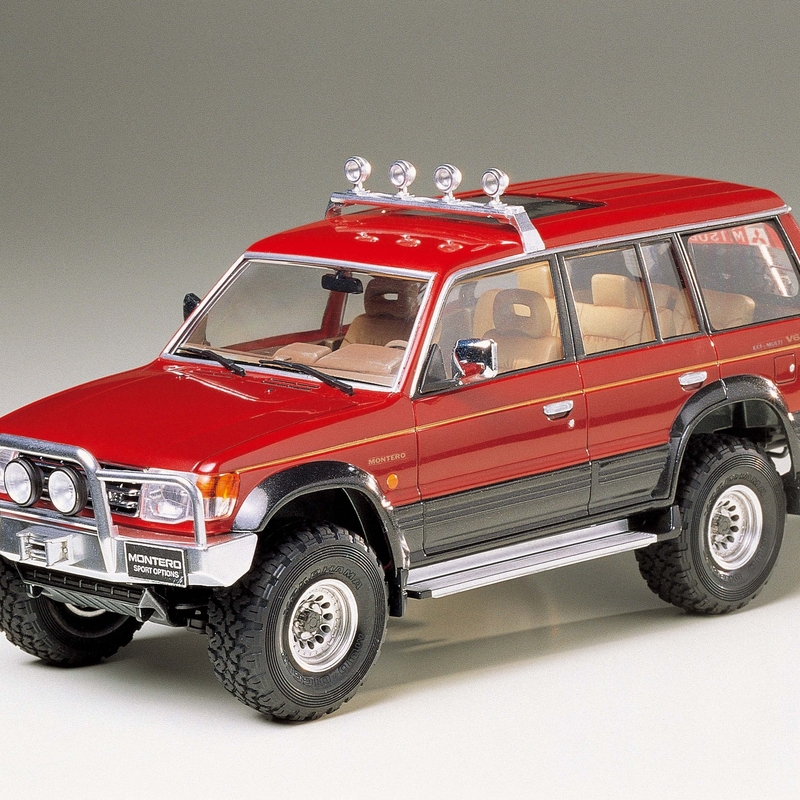 This model recreates the second-generation Montero, Mitsubishi's long-selling 4WD SUV. 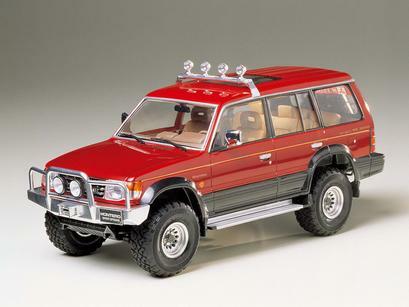 The car depicted by this kit had a dedicated 3-liter V6 engine and the then-brand new Super Select 4WD system which offered a number of different drive options. As the name of the model suggests, it recreates the Montero with various after-market option parts attached. •	1/24 scale plastic model assembly kit. •	Features twin coil springs in the rear suspension for realistic movement. •	Parts are included to recreate after-market options such as roof-top auxiliary lamps, front grille guard with fog lamps, sport wheels and large diameter tires, rear ladder and more! •	A smart interior includes depictions of details such as the center console with gear stick and rear seat banks. •	The model can be assembled as left- or right-hand drive. •	Detailed rendering of the V6 engine includes separate parts depicting the cooling fan and other components.